Buddhism is practiced by hundreds of millions of people worldwide, from Tibetan caves to Tokyo temples to redwood retreats. All these traditions trace their beginnings to the teachings of one man in India 2,500 years ago. These teachings spread worldwide in all directions and into numerous languages, making Buddhism one of the today’s most influential religions. In Buddhism, His Holiness the Dalai Lama and American Buddhist nun Thubten Chodron map out the convergence and divergence of the two major Buddhist movements—the Sanskrit traditions of Tibet and East Asia and the Pali traditions of Sri Lanka and Southeast Asia. The authors consider Buddhism’s core practices and tenets, such as the four noble truths, the practice of meditation, the cultivation of love, and the meaning of nirva?a, and how the traditions sometimes agree and sometimes differ in their interpretations. 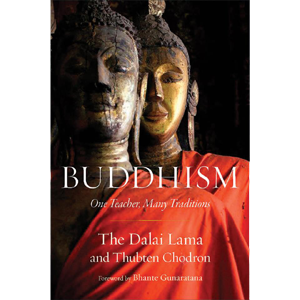 The authors’ respectful approach illuminates the many ways that all forms of Buddhism, amid their rich diversity, share a common heritage and common goals. Hardcover, 2014 edition, 352 Pages. 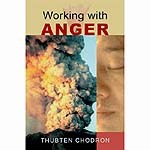 Shop by Subject>New to Buddhism?